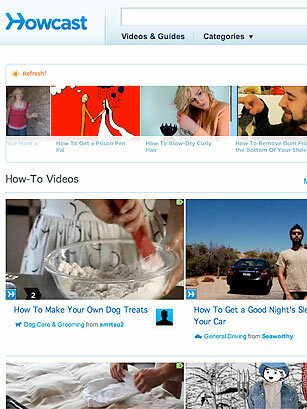 If YouTube were reincarnated as a self-improvement site, it would look a lot like Howcast. As on YouTube, there are vast quantities of videos of varying professionalism. As on YouTube, watching them is addictive, and you can upload your own. But as the site's name suggests, these videos are instructional in nature, including everything from "How to Become a Professional Cake Decorator" to "How to Build an Electromagnet." Some of the videos are earnest and serious, but the most engaging ones tackle topics in a playful manner even when the subject is mundane and the advice is practical. See Howcast in TIME's list of the 50 best websites of 2008.